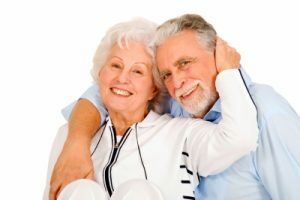 Can’t Find Older Adult Clients? You May be Looking in the Wrong Place! When speaking in generalities, older adults are usually classified by age, but when it comes to health and fitness, chronological age is not always the most defining characteristic. Many adults enjoy excellent health and a high level of fitness well into their 80s and beyond, while some adults experience a decline in health at a relatively young age. The typical older OA personal training client has some physical limitations and medical conditions. They seek out a trainer to maintain their independence and quality of life, and to reverse or ward off common metabolic diseases like inflammation, hypertension, heart disease and diabetes. Why Look for OA Clients? Adults over the age of 55 are the fastest growing demographic in the fitness market. Older adults often have more discretionary income, since their children have usually left home and their mortgage is often paid in full. Because of health concerns associated with aging, older adults may view fitness services like personal training as more of a necessity than a luxury, and they are willing to pay to work with a trainer. Because they are frequently retired, you can often fit older adult clients into your schedule at times of day that are difficult to fill with working clients. Many trainers look for OA clients in retirement communities and community centers that offer services to older adults. However, many of those types of facilities have in-house fitness services staffed by regular employees. While there are growing numbers of retirement communities, most older adults live at home, either with adult children or within a 10 mile radius of an adult child, according to the National Institute on Aging. 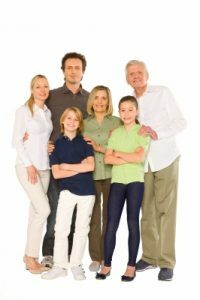 In many cases, children of older adults are themselves in their 50s or 60s, and seek out in-home personal training services for their aging parents. Target your promotional materials to the children of older adults by highlighting the benefits of regular physical activity for their loved ones, like reduced risk of falls, improved quality of life, improved mental outlook and reduced risk of illness and dementia. Before you take on older adult clients, be sure you are qualified. A certification like W.I.T.S. Older Adult Fitness Specialist Certification is the best way to equip yourself to handle the special needs of older adults. In addition, be sure you have ample liability insurance, and have all parties concerned sign an informed consent and liability waiver. Keep the waiver in your client’s file, along with documentation of each session’s activities, incident reports, assessment results, physician’s clearance and any other relevant documents that establish your professional relationship and responsible interactions with each client. Previous post: Trouble Spots for Older Adults (and how to fix them)!